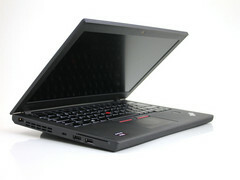 The ThinkPad A series is a line of Lenovo ThinkPad laptops created solely for the use of AMD CPUs. According to a leaked roadmap that Notebookcheck attained, this series could be refreshed in the third quarter of 2018. It seems likely that these refreshed models will be the ThinkPad A285 and ThinkPad A485 and that they will feature Ryzen Mobile. Last fall, Lenovo made a relatively surprising announcement with the new ThinkPad A series. The special thing about the ThinkPad A series: Its completely AMD based. Unusual for ThinkPads, as they were mostly powered by Intel processors till now. Different from what one might have suspected, the the first ThinkPad A models, the A275 and the A475, were announced with the older Bristol Ridge processors. With the upcoming Ryzen Mobile CPUs that certainly seemed like a curious decision – a decision that created a new question: When will there be ThinkPads with Ryzen processors? In a document published by Lenovo, which also included the first hint at two cheaper Ryzen-powered ThinkPads named E485 and E585, we found some information on the release-date of the next generation of the ThinkPad A series. The included roadmap mentions a "refresh" of the A275 and A475 in the third quarter of the year 2018, which hints at a release in the July-September time-frame. Unfortunately, the document isn't much more detailed. Fortunately though, we already know the names of the two new A series ThinkPads from a prior leak: ThinkPad A285 and ThinkPad A485. The current A series models are based on the ThinkPad T and X series (A275 = X270, A475 = T470). 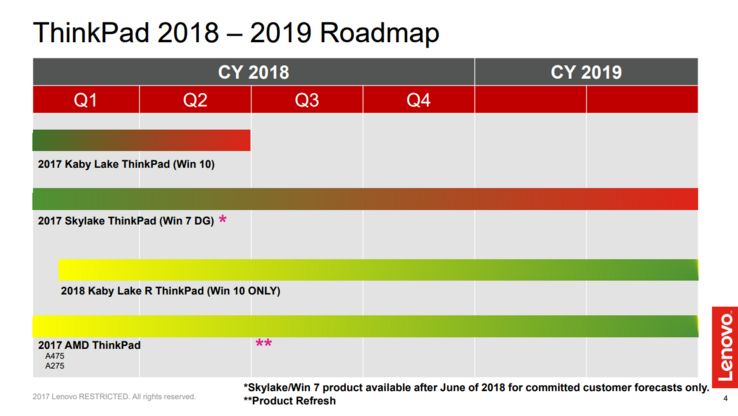 We can only speculate at this point, but it seems logical that the same will be true for the upcoming models – which would mean that the A285 would be based on the ThinkPad X280 and the A485 would be based on the ThinkPad T480.